What is the Path of Yoga Program? The Path of Yoga is a program that takes you through a 6 months journey to learn about the depths of yoga in a modern and holistic way. It is a Training in terms of the actual information and topics we will cover in depth: advanced pranayama, advanced philosophy, mantra & sound healing, psychology, energetic maps and practices, movement therapy, the healing arts and more, both in person and via online manuals, audio and video. It is also a sort of mentorship program, with ongoing support that will guide you to establish effective practices in your life that are tailored to your individual needs and rhythms. It is also like a 6-month retreat in the comfort of your own home and schedule, with specialised weekends together to go deeper into practice and group calls for reflection and integration. There will be an evolving Sadhana (daily home practice) that will take you on a journey to uncover layers of your true Self as it unfolds. The program is immersive and it also aims to offer you the connection of a “tribe”; a group of like minded souls who are, like you: curios, creative, explorative, willing and ready to open and rise up to their full potential. Composed of weekend-long seminars, online study modules and ongoing mentorship, we will dive into progressive and important soul work. Much of the journey is about removing that which stands in the way, and revealing the layers of True Being in order to step into the fullest, clearest, most vibrant version of you. Like the process of awakening, this program requires commitment, effort, desire and courage. We welcome anyone who is ready to learn, longing for healing and open to change. No previous trainings are necessary and you are not required to be a teacher of Yoga to apply. We are excited to share with you that the next Path of Yoga Program (credited 150h for our Advanced Teacher Training) is scheduled to start on the 29. November 2019. If you would like to be among the first to get the details, please write us and we’ll put you on our list. As we have been describing The Path of Yoga Program to interested students, we realize: This is not a typical, standardized 200-hour yoga training - it is much more than that! - and this is why, it’s very hard for us to put into words the scope of what we are offering! We created a 5-day preview program comprised of Video, Audio and Text that guide you through a series of relevant practices. Like this you get a better understanding of what we are offering in The Path of Yoga & what kind of content will be shared. 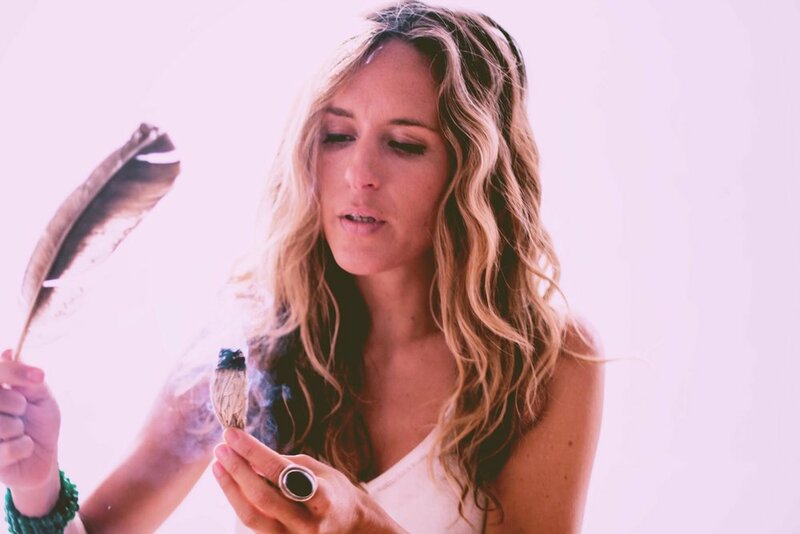 Uma is a soulful and passionate teacher, healer and songstress, dedicated to the path of yoga and to sharing the philosophies and practices that have transformed her own life. She believes in magic, in the power of Love, in listening to intuition and in the uplifting potential of community. Drawing from a decade of devoted studentship, her own healing journey and many years of teaching around the world, she is committed to and grateful for the privilege of guiding others along the courageous process of awakening and embodiment. Uma’s classes, workshops and retreats are supportive, explorative, and they offer students a safe space for self-enquiry and creative expression. Known for her heart-felt presence, her sensitivity and her inspiring words, her hope is to offer others meaningful experiences where they re-connect to and remember the depth of who they are. Based in London she teaches full time and hosts regular women's circles and events. As well as traditional and contemporary Yoga, she incorporates other modalities of healing into all her offerings, and has studied specifically Trauma work, Sufism, Qi Gong, Shamanism, Reiki, NVC (Non-violent communication), Sacred Dance, Sound healing and Feminine Spirituality. From her former life as a music producer and BBC sound engineer, she also weaves her understanding of sound, harmony and vibration with her love of music and singing, encouraging others to find and open their voices. When not teaching or practicing yoga, you can find her growing flowers, plants and vegetables, reading poetry, trying to play guitar, drinking good coffee with friends or taking long walks in the local park with her love. Deddou is an experienced, Zürich based yoga teacher and founder of POP UP YOGA. She teaches yoga, meditation and mindfulness to individuals in private setup’s, but also group classes, corporate seminars and online classes and is the main teacher for the 250h Vinyasa Flow Yoga Teacher Training in Zürich. Back in 2008 her life took a new direction as she found the path of yoga. First in South Africa and later in India, New York and Australia she began to explore yoga in combination with movement & dance. As a former dance teacher she was intrigued by the creative exploration that the practice of yoga offered her. Soon thereafter she discovered the connection between the outer flow and the inner dance of consciousness. Thus began her precious, life-long exploration of re-discovery, re-learning and re-thinking. Yoga offered her the necessary tools to examine her life, beliefs, her relationships to others and Self and gave her a fresh outlook to move forward. "I love to fuse dynamic and dance inspired Yoga Flow elements with fundamental principles of therapeutic Vinyasa Krama to create an uplifting experience for a broad spectrum of yoga students." Today Deddou’s students love her for her passionate and creative approach to yoga and her ability to explain complex yoga philosophy or energetic alignment in simple and highly accessible terms. Her yoga style is a graceful fusion of dynamic Vinyasa Flow elements sprinkled with therapeutic yoga poses and alignment-cues to not only lift body and spirit, but also bring meaning and grace into her student’s personal yoga practice. One of the hopes Deddou has is to inspire her students to re-discover their own creativity. I have already done a 200h Yoga Teacher Training. How would this training benefit me? The main goal of Teacher Trainings are to prepare you to share the teachings of yoga with others. The difference with this program is the focus is on you. There will be more time for self-enquiry and you will be given a variety of tools to not just enrich your own practice, but more importantly, to apply in your life off the mat. We are able to make the work more personal to you. If you are a yoga student and would like to start practising at home on your own this will support you and if you are a yoga teacher looking to establish a more meaningful sadhana and get more experienced and creative with your teaching and offerings, this will empower you. The more we focus on our own evolution the more we can be of service to others in any capacity. How is this training different from a 200h Yoga Teacher Training? Whilst we will practice, explore and experience the benefits of Yoga across the 6 months as you would in a teacher training, we will have more time to dive into philosophy, wisdom teachings, advanced practices and other modalities of healing. In 200hr trainings there are constraints and basics that need to be covered in order to teach yoga safely and effectively to others. This is a more in-depth course to offer you “beyond the norm”, to widen your perspective and support you to really apply the teachings into your daily life. For teachers or for anyone curious to know more, the topics covered in this program are to take your personal practice to the next level - not just physically, but on all layers of being. This course is not just to learn how to teach, but to understand how to live. Like the process of awakening, this program requires commitment, effort, desire and courage. We welcome anyone who is ready to learn, longing for healing and open to change. No previous trainings are necessary and you are not required to be a teacher of Yoga to apply. Some previous body work experience would be beneficial but is not a necessity. Healing is not always easy and in order to change, sometimes work is needed. It requires a great deal of patience, love and courage. If you are not ready to do the sometimes difficult work of self-enquiry or ready to step up into radical responsibility then this training might not be for you. Can I join even if I know very little about yoga? Absolutely. Whilst we will share in-depth a variety of topics, we believe that the wisdom is accessible and universal. We will be exploring the foundations of philosophy and certain practices in order to experience more depth and the course is offered without requirements. It will be of benefit whether you are a new student of Yoga or a long-time practitioner. Some previous body work experience would be beneficial but is not a necessity. The main factor is that you are open to learn and excited about making positive change. What if I can’t attend all of the in person training dates? The in-person training dates are extremely valuable for getting personal experience and support. Whilst they are essential for receiving the most from the course, we are willing to discuss options with you. Do I get a certificate at the completion of this program? Yes, you will receive a certificate of completion if all dates and modules are attended. More importantly, there will be a closing celebration ceremony to honour the work, progress and transformation made across our time together. How long do I have access to the online modules? You will have access to the online modules for an entire year. If you have any additional questions, please get in touch. We are happy to help. We are planning many Trainings and advanced modules for 2019 / 2020. Then sign up for this Training-related Newsletter. * We take your privacy seriously and cherrish your trust in us.